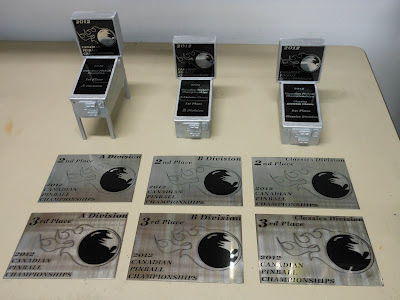 Just finished making the Trophy's for Canadian Pinball Championships 2012. The 6 plates will be mounted to wood plaques when they arrive in Canada. Won't be able to make the show but, wish everyone the best of luck. Thanks Mike for the order! !